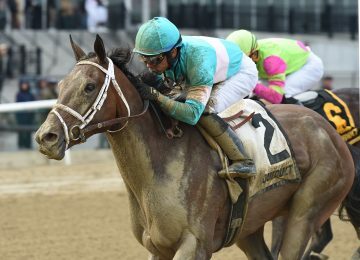 Creator will head to the (G2) Jim Dandy Stakes on Saturday at Saratoga while Exaggerator will head to the (G1) Haskell on Sunday at Monmouth, setting up for an exciting weekend packed with action. 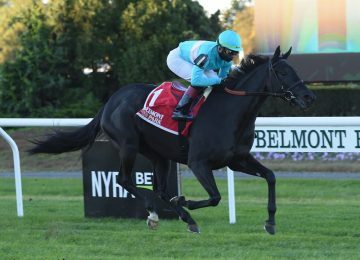 Creator was purchased the week of the (G1) Belmont Stakes for celebrity chef Bobby Flay, by BSW Bloodstock. 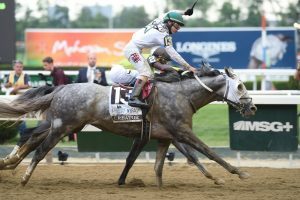 He went on to win the Belmont Stakes by a nose beating Destin who is back in this spot Saturday. He has had seven weeks to freshen up since his big Belmont score and he breezed an easy half mile in 49.56 on Monday to prepare for this spot. It will be a tough rematch that will also include multiple (G2) winner Mohaymen last seen running a good fourth in the (G1) Kentucky Derby. Post time for the (G2) Jim Dandy is 6:18 PM ET on Saturday. Exaggerator shipped to Monmouth Park today to take on (G1) Kentucky Derby winner Nyquist in the (G1) Haskell Invitational. 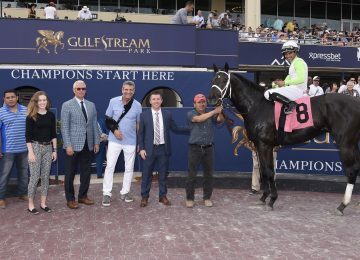 He was purchased privately in February for owner Head Of Plains Partners (Sol Kumin and Jim Carey) and after a huge win in the (G1) Santa Anita Derby a deal was done by BSW Bloodstock with WinStar Farm to stand him at the end of his racing career. He went on to a heroic Triple Crown run with a runner up effort in the (G1) Kentucky Derby and a win in the (G1) Preakness Stakes. He had a good week of training at Saratoga and is now ready for his next test. 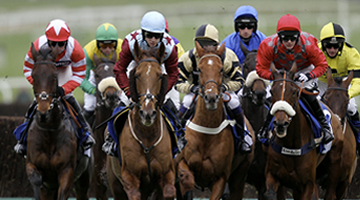 He drew the outside post #6 at 5-2 odds on the morning line. Nyquist is inside in post #1 at 6-5 odds. Some great racing this weekend on the east coast and BSW and clients are excited to be apart of it!